Look at all these gorgeous Mother’s Day cards by Hallmark! 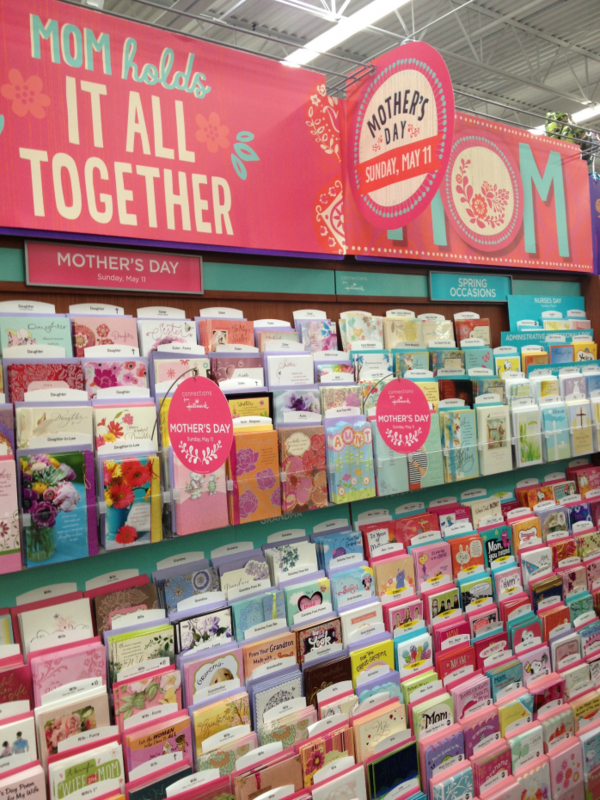 There is a card for EVERYONE on your Mother’s Day list… Moms, Grandmas, Step-Moms, Aunts, Friends… Hallmark has it covered. I knew in my heart I would find the PERFECT Hallmark card for Mom at Walmart. My Mom cooks for us, she folds our laundry, she picks up the kiddos from school, babysits them… and she helps me out in a hundred different ways. I needed a card that would convey our appreciation to her. One glance at the incredible selection and I KNEW that special card was here. It was fun checking out all the wonderful cards. 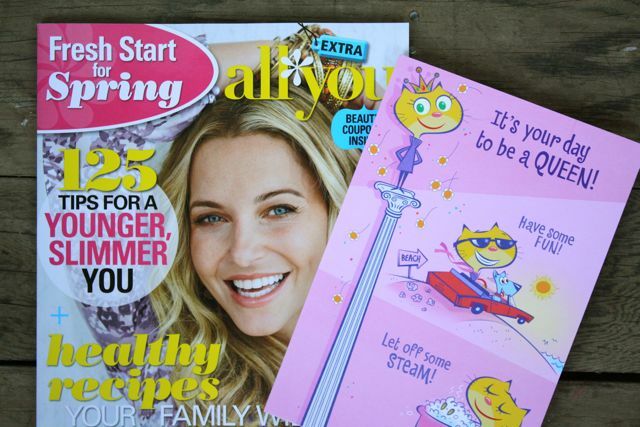 By the way, you’ll want to visit connectionsfromhallmark.com to sign up for Hallmark Rewards and to check out content from other amazing bloggers. You can earn Hallmark Rewards at Walmart as well as anywhere that sells Hallmark cards. For every 5 cards you purchase, you’ll earn a reward! 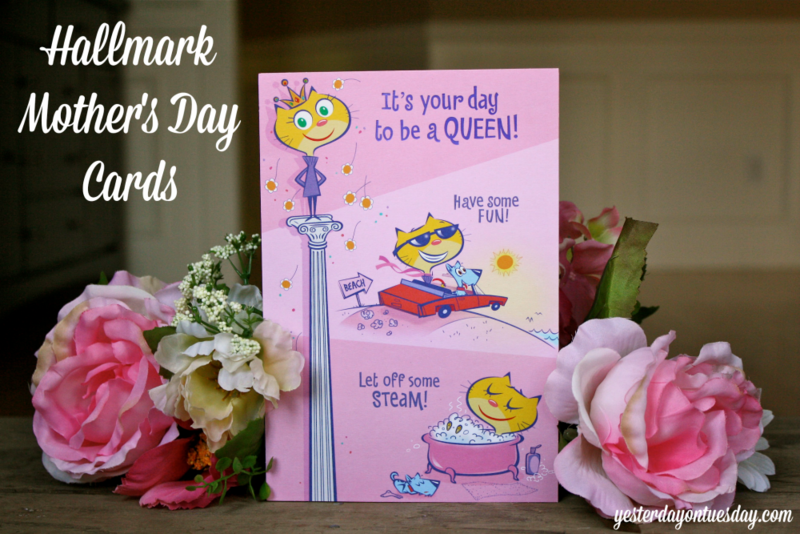 Check out the Hallmark Cards Rewards Program. 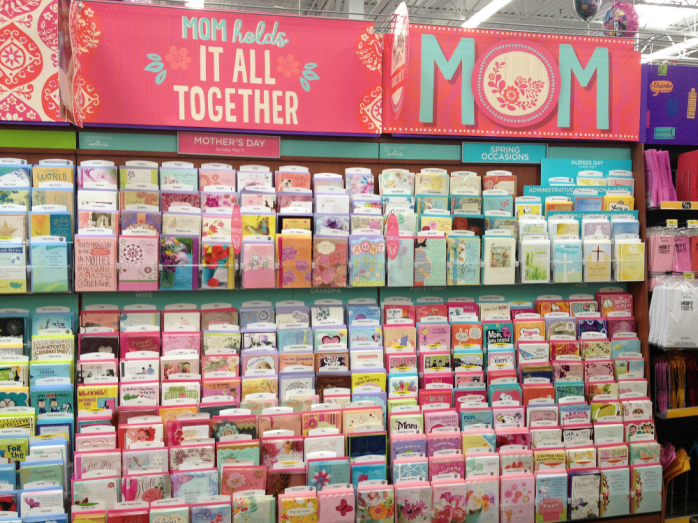 And, you can also join in on the #MothersDayCards conversation on Twitter! I did found “the” right card for my Mom. I wanted to make her feel loved and pampered. This cute card fit my Mom like a glove. 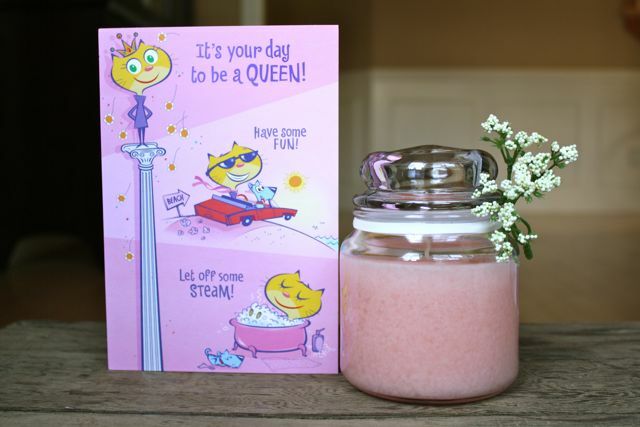 The cool thing was that the card helped me create the perfect gift! 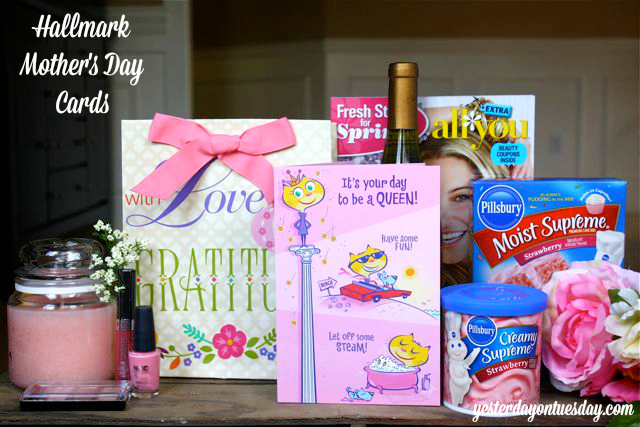 The card reads “It’s your day to be a QUEEN! Have some FUN! So I grabbed this special issue of All You Magazine. Then “Give yourself a while new look.” So I included some pretty makeup. 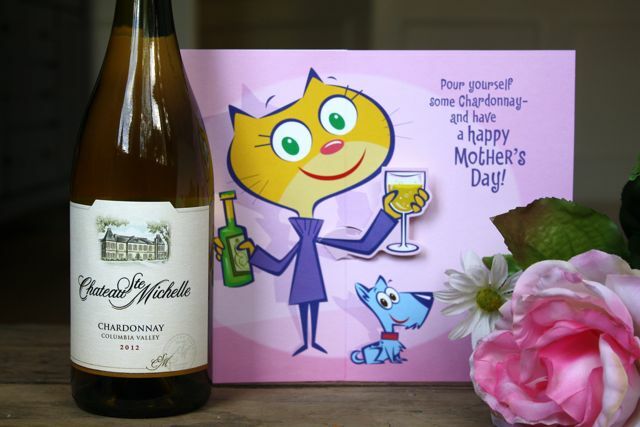 The card ends with “Pour yourself some Chardonnay – and have a happy Mother’s Day.” You guessed it… I had to buy a bottle of wine for my Mom too! I know my Mom will LOVE her card and gifts. What a great gift for your Mother!! i love all the items you gathered for her. I’m actually going to be in AR with my mom for Mother’s Day this year and am taking her out to lunch and shopping. We haven’t spent Mother’s Day together in over 10 years because we live two states away. We are both so excited!! My girls will be with us so that will make it extra special!! I love this idea! How smart to pick out gifts that go along with the card?! So fun! Great gift idea! So thoughtful and fun! What a great gift your mom will be receiving this Mother’s Day!! I love a bag full of goodies!! 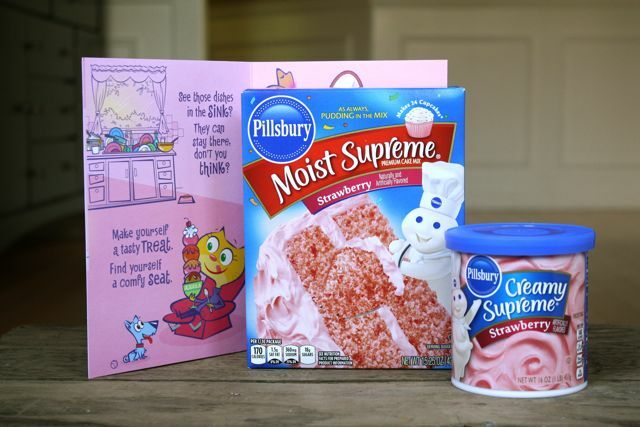 What a cute little Mother’s Day package! Great idea! Wonderful ideas! I love Hallmark cards!